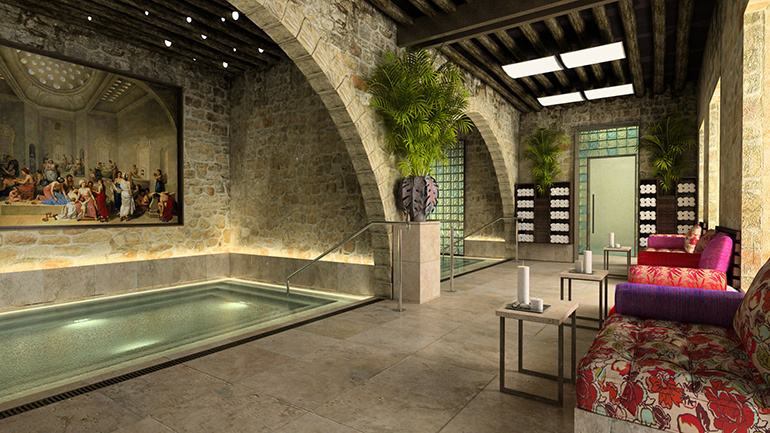 We were commissioned to study the feasibility of converting the two-story vacant 14th century vernacular stone structure next to Beirut’s Hotel Al-Bustan into a mini wellness retreat and health spa. 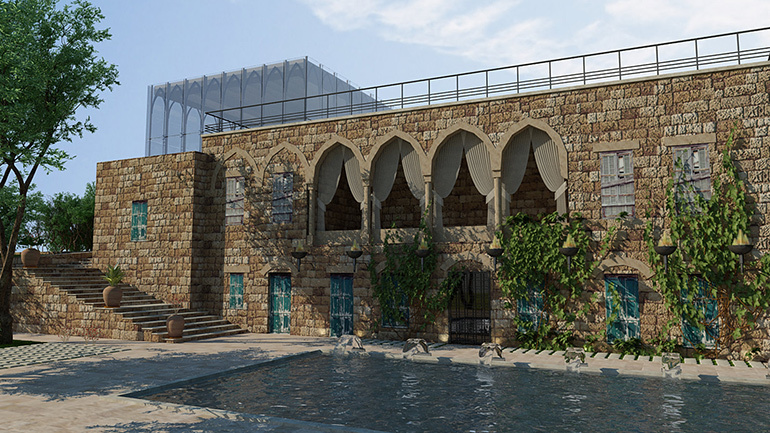 Conceived as a respecting merger of medieval stone structure with a modern glass architectural component, in our design, the ground floor was transformed into different types of hot and cold pools, sauna and steam room inspired by Roman and Turkish baths leading on one side to a large exterior Roman pool in a garden setting. 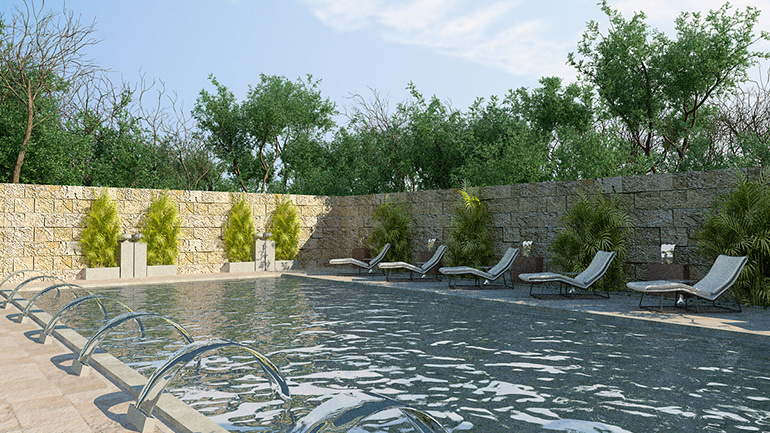 The upper floor accommodated different natural spa therapy rooms for facial, body and massage treatments; its arched gallery serving as a relaxation room overlooking the exterior pool and garden. An additional open lounge and café space was created on the rooftop. A new double-story glass structure was designed as the main lobby and the vertical connection between all floors. It also accommodated reception and a spa-shop.